I have loved to bake for as long as I can remember. Cookies, bread, cake and of course, pie! My pies are each wrought by hand, no machines, mixes or shortcuts. Much of what we eat today is not pie - - not like it used to be. My pies have a thick sturdy crust so that you can eat pie right from the tin; proper pie! Crust and filling equal partners. Proudly baking in Chatham, NY located in the Hudson Valley home to much of the product that goes into my pies. For me, making a pie starts with a trip to one of Hudson Valley's farms to select the best of the crop. Every PieconicNY handwrought pie starts with fixings from one of our area's family owned farms. Then off to the bakery to put everything together and soon the alchemy of goodness that comes from combining mother nature, my passion for baking and some good old fashioned TLC creates the magic of a handwrought pie. "Every pie is an individual creation using the best flour, butter and all natural fresh from the farm ingredients." I traveled many miles before I started baking your pie-from my hometown pie making state of Texas to New York to Mexico to China to South America and then the United Arab Emirates and back again. I have been working in the hotel industry for all of my career and at many of New York's grandest hotels including the Pierre, Plaza, Peninsula, Regency and Regent Hotels....and boy did I eat well in all of them. After working in hotels for a number of years, I was next challenged to build hotels. My final port of call took me to the Middle East to manage the hotel portfolios for a Saudi Prince and the Emir of Qatar. All throughout I was baking. Perhaps it was pies I baked for my colleagues in Beijing to introduce them to American Thanksgiving, quiche in Riyadh or Jamaican meat pies in Punta del Este - - I have baked my way around the world. Now, after many miles and some incredible experiences - - and some delectable baked goods in the world's greatest hotels and restaurants- I am baking my heart out for you here just off the Taconic Parkway - - what I hope will be an iconic pie! Hence, PieconicNY. 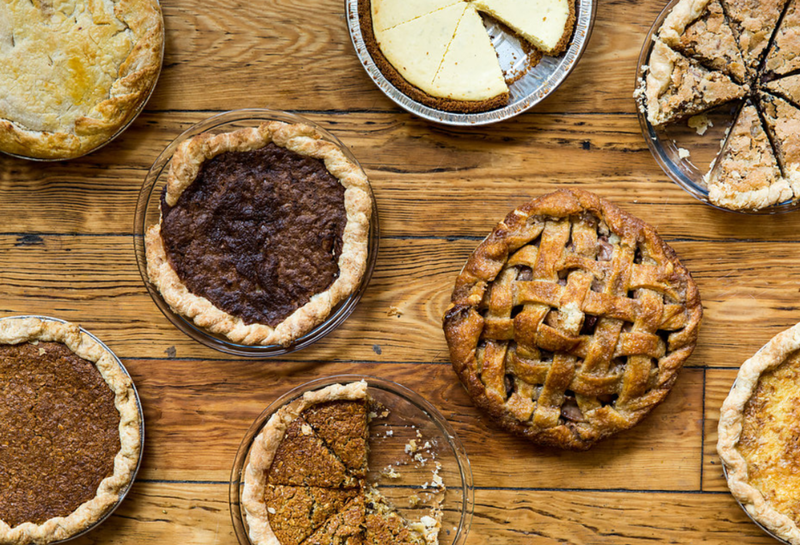 Eat pie and be happy with fresh, local ingredients and lots of handmade goodness! !